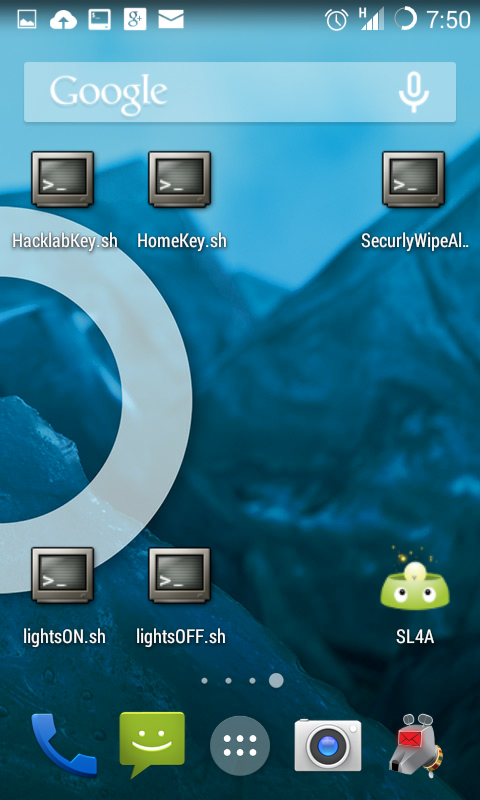 Using Android to securely command & control your projects! 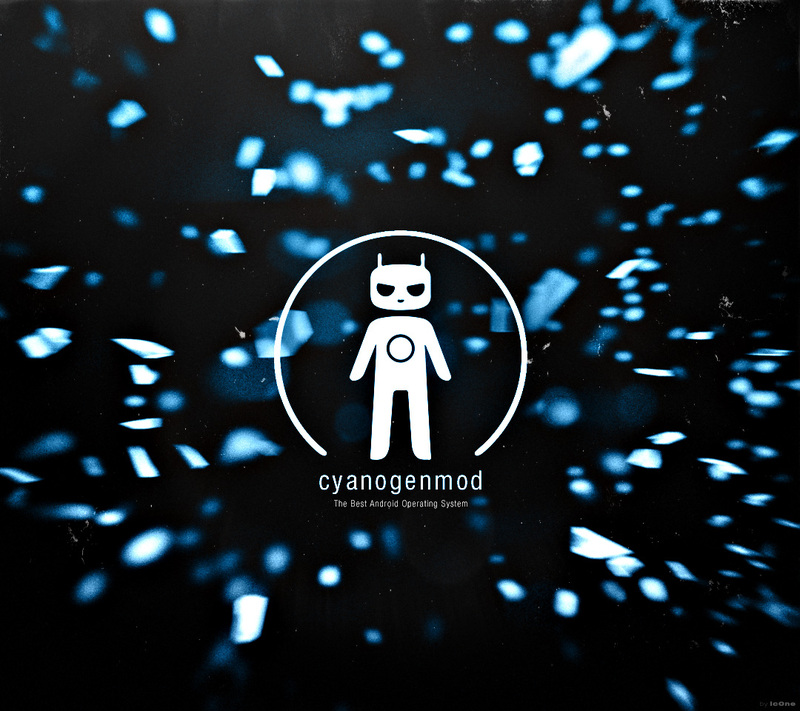 If you make internet connected stuff based on Linux/GNU and own a Android device powered by CyanogenMod rejoice! This is a safe(as safe as it gets) way to control your projects, so unlock your home to your friends while miles away, start a car(or don’t), securely wipe all of your disks with one touch, feed the cats, or just turn your lights on and off. 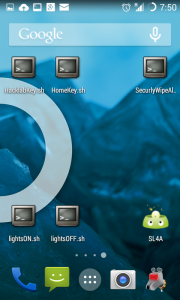 1x project that supports ssh with a dyn-dns setup on ssh port if you want direct access from the internet,and not only from wifi. 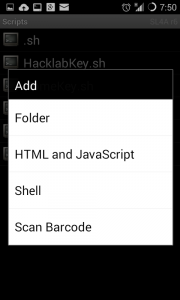 1.Download sl4a scripting layer for android from here. 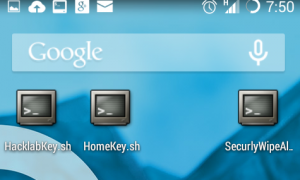 Enable install from unknown sources on your device and instal the apk. Press ‘Enter’ here to accept the default. 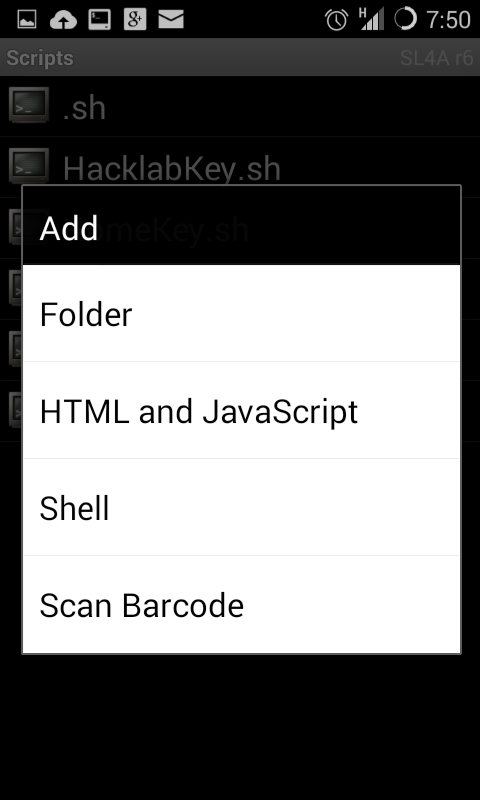 Press menu button, then save&run! Input yes when prompted to save host in known_hosts, and close terminal when prompted. If you are conecting over dynamic dns than you must delete the IP address from /data/.ssh/known_hosts to end further suffering when the IP changes! Add a new widget to the phone wall, search for sl4a scripts and add. It will let you choose the script and background or forground way of executing it; choose the background one and repeate the process for every command you wish to add! And that’s it!